A celt is a prehistoric stone or metal implement shaped like a chisel or ax head. Hematite is a mineral ranging in color from black to red to brown, often taking on a high polish when tumbled in a rock polisher. The reddish color comes from iron. Hematite was highly prized by Native Americans throughout parts of the eastern United States for making a variety of tools and ornaments, including axes and celts. 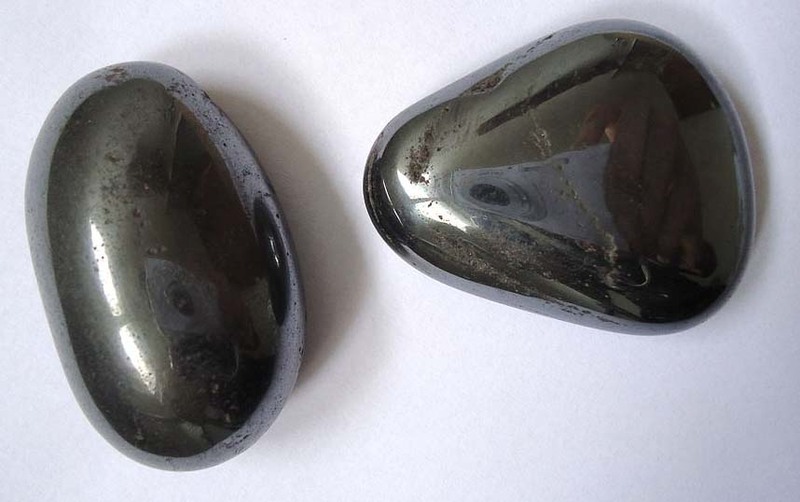 Polished hematite pebbles, photograph by Mauro Cateb (Own work) [CC BY-SA 3.0 (http://creativecommons.org/licenses/by-sa/3.0) ], via Wikimedia Commons. Jenny asked if we could provide a photo of the hematite celt—object #1 in the museum’s collection, essentially the founding object. Although many of our collections are well documented and regularly used by students and researchers, others need considerable attention. Unfortunately, the hematite celt fell into the latter category, as Jenny’s seemingly simple request illustrated. 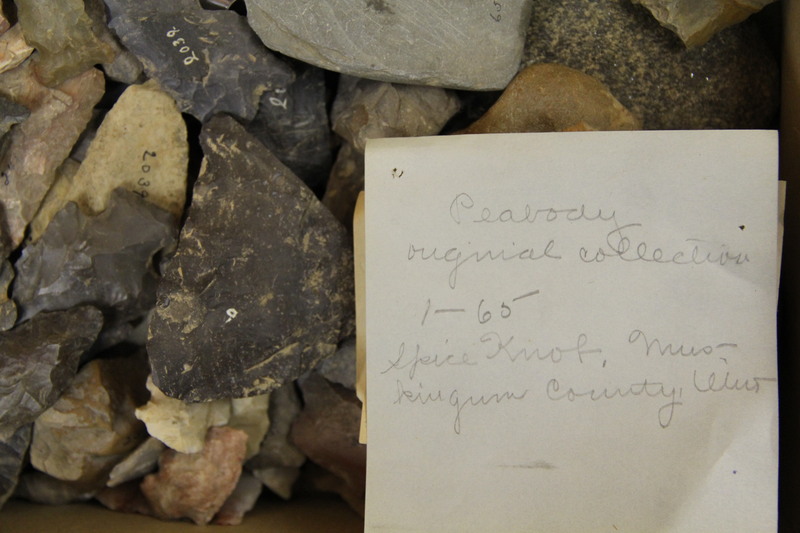 We began our search by checking the original accession ledger and confirming that the first object was indeed a hematite celt collected at Spice Knob, Muskingum County, Ohio, by Robert S. Peabody sometime between 1845 and 1860. A note indicates the celt had a particularly nice polish. 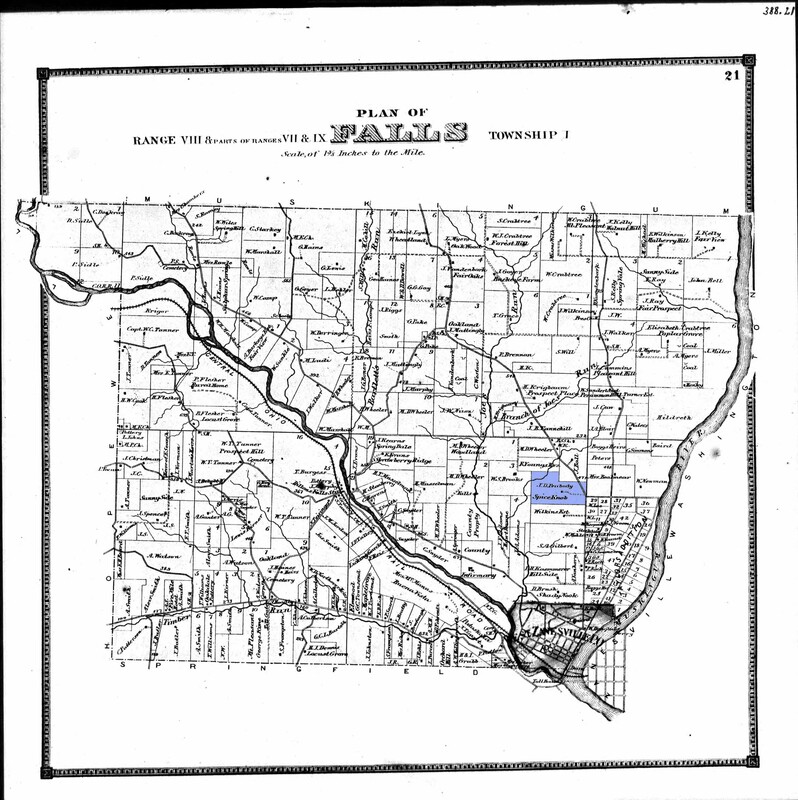 Map of Falls Township in Muskingum County, Ohio, circa 1860. The blue shading indicates Robert S. Peabody’s family farm, labeled Spice Knob, just outside of Zanesville. We then made a quick check of four or five drawers containing objects from Ohio and found a number of items with low catalog numbers that also came from Spice Knob. Unfortunately, the hematite celt was not among them. Further checking of a drawer-by-drawer inventory made in 2002 failed to locate the celt. With the aid of volunteers we searched drawers more thoroughly, with negative results. A note in one drawer reads “Peabody original collections 1-65 Spice Knob, Muskingum County, Ohio.” Some of the nearby objects are from this earliest accession. Consulting another early museum bulletin, Warren Moorehead’s 1912 Hematite Implements of the United States together with Chemical Analysis of Various Hematites, we found a detailed study of the tools and ornaments made from this mineral. Figure 3, opposite page 13, illustrates seven hematite celts from the Andover collection. Catalog numbers are visible on three of the celts, so we knew we could rule them out as being the founding object we were searching for, but they are not visible on the remaining four objects in the figure, which meant it was possible one of them was the object in question. We also checked Moorehead’s other publications, which contain numerous illustrations of artifacts, including hematite celts. However, in the end, no definite candidates were identified. 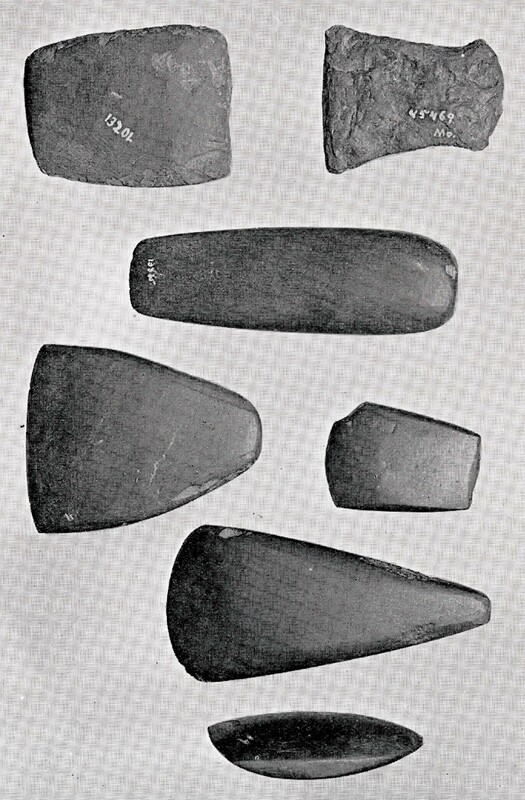 Figure 3 from Warren Moorehead’s 1912 study of hematite implements. One of the four objects at the bottom may be Robert Peabody’s hematite celt. So, what happened to Robert Peabody’s hematite celt? There are several possible explanations. One is that museum personnel recataloged the object in the 1940s after the introduction of a more sophisticated cataloging system that imposed a two-part numbering technique and avoided some of the confusion that might arise from a simple sequential numbering of objects (e.g., 1 through 70,000+, as Moorehead had done). 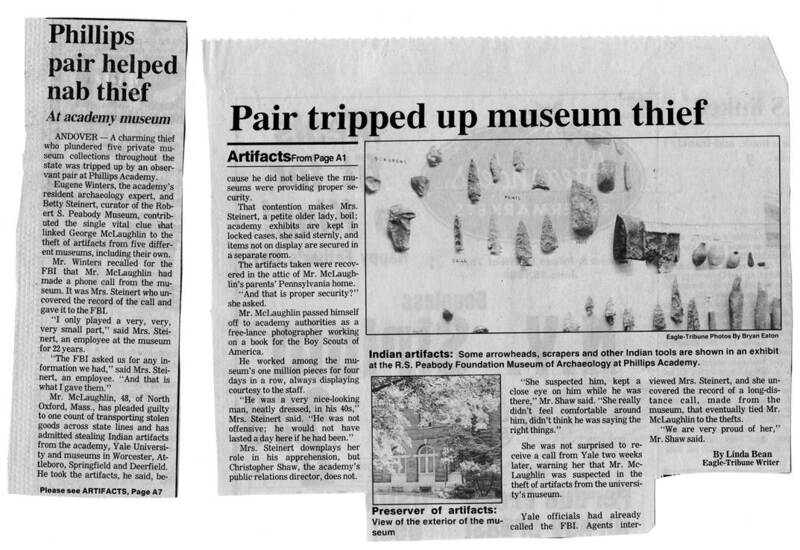 Eagle-Tribune article from 1986 recounts George McLaughlin’s theft of artifacts from the Peabody Museum. Another possibility is that the celt was stolen. In 1986 a thief named George B. McLaughlin gained access to museum collections across the Northeast, including the Peabody, as well as institutions in Worcester, Attleboro, Springfield, Deerfield, and at Yale University, before the FBI apprehended him. During his spree, McLaughlin amassed thousands of artifacts and removed their catalog numbers. 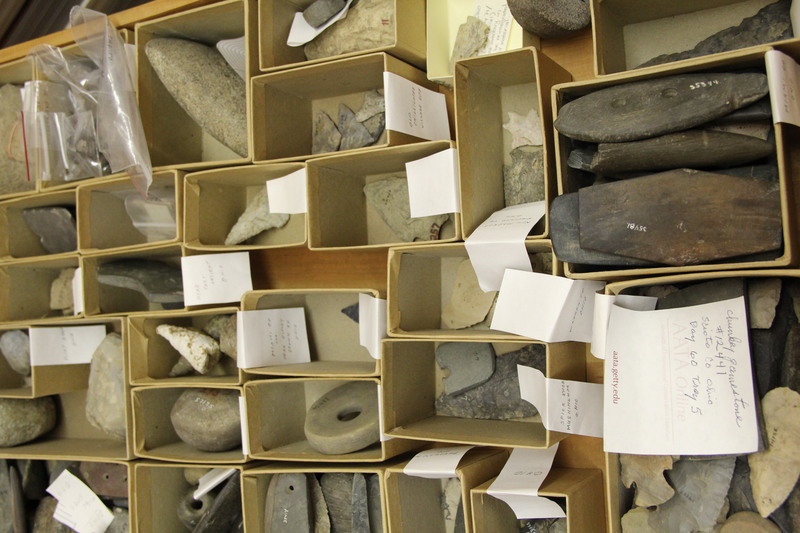 Although many objects were recovered, there was confusion regarding which artifacts belonged to each museum. We currently have drawers of objects returned to us by the FBI. Some of the Peabody Museum’s artifacts from Ohio. And so the search for Robert Peabody’s hematite celt continues, illustrating the challenges of locating an object from an older collection that has limited intellectual and physical control. A multiyear effort began in 2013 to gain better intellectual and physical control with the help of Abbot Academy Association grant funding for a new database system. The effort will continue for years to come as collections are cataloged and storage is upgraded.